WASHINGTON – The group People for the Ethical Treatment of Animals wants the flyswatter in chief to try taking a more humane attitude the next time he’s bedeviled by a fly in the White House. I know this isn’t sports related, but it needs to be put out on a major news site. msnbc.com wasn’t big enough. We’re bringing it to the NEZ. Seriously though, aren’t there worse things going on in the world towards animals that PETA should be worrying about other than effing house flies? I mean who in their right mind buys a fly catcher to save the miserable life of a tiny pest whose only job is to piss you off and spread germs and disease. Next they’re going to say to stop swatting mosquitoes. That one makes sense though because mosquitoes are so cute and cuddly, who would even want to swat them? There are dogs and cats being put through unthinkable pain and suffering and torture all around the country, and these dickwads decide to focus on an insect that, honestly, I don’t even think people in PETA care enough to catch and release outside. I used to think that PETA was a little misguided in their views, but had the right idea. Now they just lost some credibility in my eyes, and I am fully convinced that a significant portion of their members and leadership is completely batshit crazy. A flies wings beat 200 times per second. 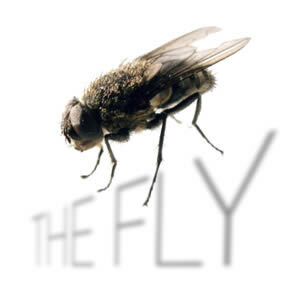 Average speed of a fly in flight is 4.5 m.p.h.. Flies will only continue to beat their wings so long as their feet are free. As soon as the feet become stationary, the will stop flying. Entomologists Dr. Yao and Dr. Yuan of China studied more than 378,046 common house flies and estimated that each carried no less than 1,941,000 bacteria on their bodies. Maybe we’ll get back to sports today, if we feel like it. I wouldn’t hold your breath, though. You are currently browsing the archives for the flies category.